Customers at Apple's forthcoming Madison Avenue store on Manhattan's Upper East Side will be privy to a special Apple Store experience, as the company will reinstate its dormant personal shopping service and observe shorter-than-normal hours in order to fit in with the tony neighborhood. "The Upper East Side store is designed to serve an important role in the neighborhood and respect the surrounding community," Apple told the Wall Street Journal. "In this case, that means a smaller footprint, earlier closing time, and private shopping options for customers." The company's previous personal shopping effort allowed customers to pre-book appointments for one-on-one service from Apple Store staff. Apple shuttered the program in 2010, after it became untenable as store popularity exploded. Apple's statement was in response to concern over the store's contruction on the part of Upper East Side residents, who fear that the new outlet would bring a down-market feel to the otherwise posh area when consumers line up and camp out for new product launches. Area businesses and residents have banded together to oppose the store. Madison Avenue "has been a fine retail corridor that doesn't generate the crowds that Apple does," according to Herbert Feinberg, the opposition leader, who owns a five-story townhouse in the neighborhood. "The Whitney [an art museum which relocated from Madison Avenue last year] didn't do that at all except for Friday events, but it was a dignified line. No shouting, no screaming, no tents, no sleeping bags, no barbecues." 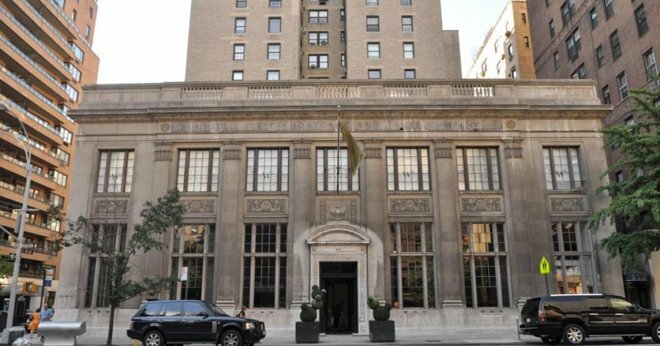 Said another long-time Upper East Side resident, the Madison Avenue location is "so shockingly the wrong place." Apple has brought in an architectural A-team for its new store, which will be located in the 93-year-old former United States Mortgage and Trust Company building at the corner of East 74th Street and Madison Avenue. Longtime partners Bohlin Cywinsky Jackson —whose name has been on numerous flagship Apple Stores as the architect of record -- are handling the design, while Eckersley O'Callaghan will provide critical expertise in structural glass engineering.